Register for your next car show. 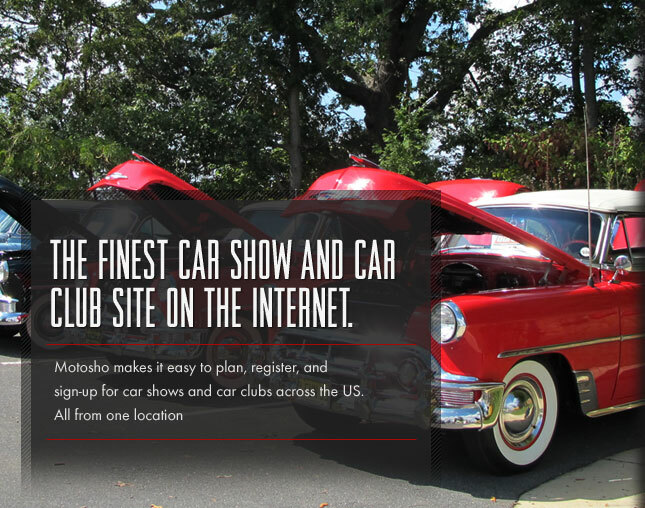 Find one of many car clubs using Motosho. Create your free account on Motosho to showcase your passion for cars. MCA is a non-profit organization dedicated to the preservation, care, history and enjoyment of all model years of Mustang, Shelby, Boss, Saleen, Roush, SVT Cobra, Steeda and McLaren. Dedicated to the care and preservation of the Ford Mustang marque. NCRMC offers the Northern Virginia, Maryland, and DC Mustang and Ford enthusiast many activities year round. The Mustang Club of Indianapolis is a family friendly group dedicated to the preservation of the Ford Mustang.